Tuners. Does it get any more exciting than this? Well, yes it does, but we all need one. Paul McCartney needed one for “Band on the Run”, and there must not have been one around. Meow. For the longest time, the Boss TU-2 was the standard in tuner pedals for guitarists and bassists. It is a durable and easy to use pedal. 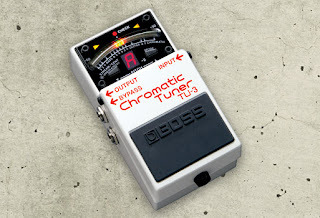 Boss has finally updated the pedal a bit and re-named it the TU-3. It was introduced at the NAMM show this year. I sold my TU-2 on eBay and ordered a TU-3 from Musician’s Friend. It was only about a $25 up charge if you consider what I sold the old one for versus what I paid for the new one. The TU-3 seems to be priced about the same as the TU-2. The list price is $160.50, and the street price is $99. Everywhere. Talk about price fixing. It does everything the previous pedal did (such as tuning your instruments), and it still has a bypass so that your audience does not have to listen to you while you tune. The pedal is the same size, and has the same rugged construction and high production standards that everyone has come to expect from Boss (made in Taiwan, BTW). The battery is still located underneath the switch, which is accessed via a thumbscrew on the front. As before, the reference pitch is adjustable from 436-445Hz. This pedal can help clean up your pedal board of pesky power adapters, as it is capable of powering up to 7 other Boss effects using the PCS-20A daisy chain. This requires that the TU-3 be plugged in with the Boss adapter, so you cannot use its battery to power-up everything else. Be sure to check the power ratings of the other pedals you are using, and do not exceed 200mA total draw. The TU-3 uses 21-segment LED meter (10 more than the old one!). And there is a new high brightness mode to improve visibility in outdoor situations. This does raise current draw up from 55mA to 85mA, meaning the battery will not last quite as long. The pedal now supports the drop tunings that all of the young folks use, up to 6 semi-tones lower. 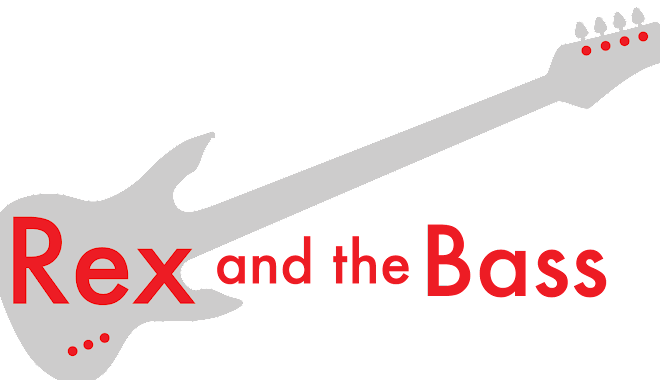 There are guitar and bass modes, which visually provide a string reference for up to 7-string guitars and 6-string basses. A chromatic mode is still available, of course. Boss says the TU-3’s accuracy is improved, and is now +/-1 cent over the range of the 21 LEDs. I have no way of verifying this, but it works for tuning my stuff. It is possibly a bit more sensitive (finicky?) than the previous model, which requires a bit more concentration on my part. So, is the TU-3 really THAT much better than the TU-2? Probably not, but having the option to power additional pedals from it is enough to make the switchover worthwhile for some musicians.